BRICOLAGE is a weekend of strange and beautiful hybrid art. 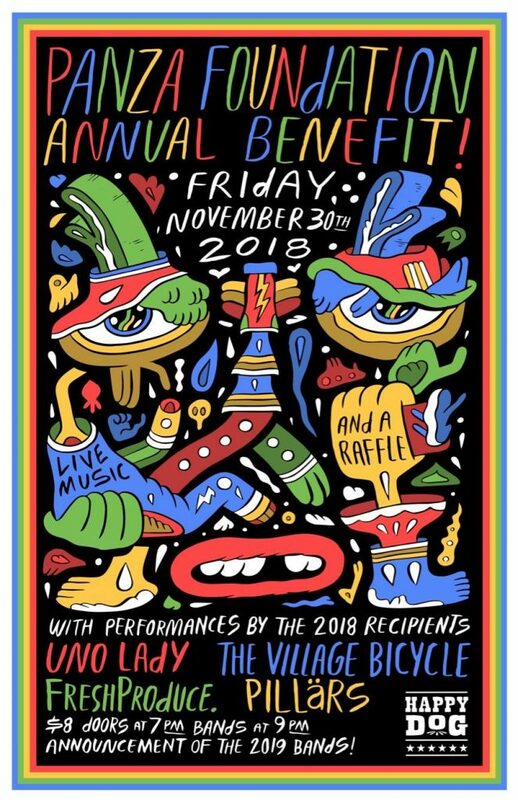 Teams of local artists unite to create an explosion of live performances, video art, tech demos, and who knows what else at this unique multi-disciplinary showcase. 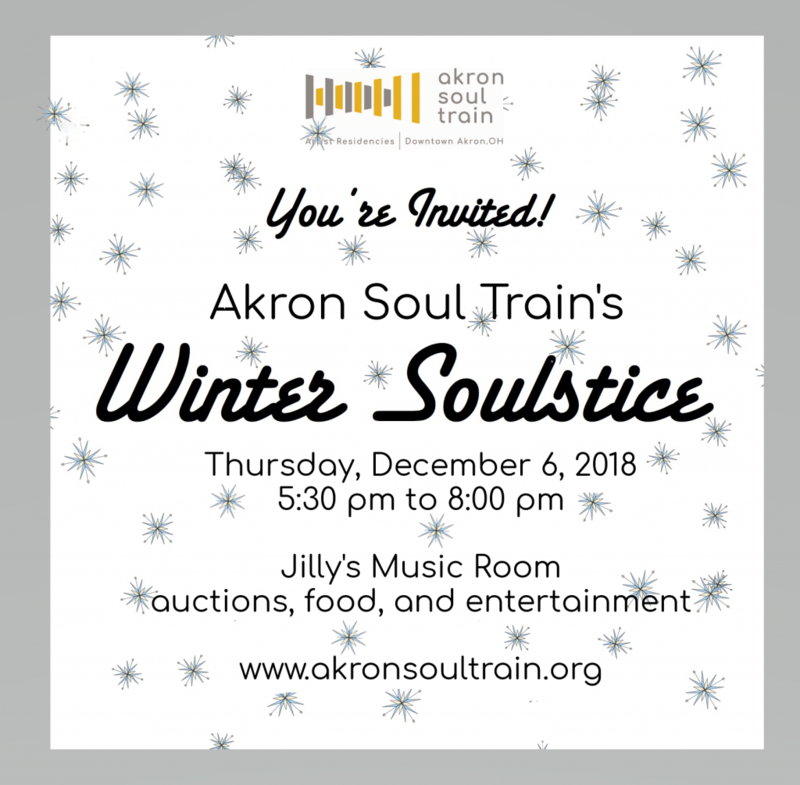 CANVAS MAGAZINE, CLEVELAND – “After supporting a total of seven local artists since its inception in 2016, the Akron Soul Train announced its latest class of fellows would nearly double that figure. Thirteen emerging and established artists will serve as Akron Soul Train fellows from September 2018 to August 2019, including the program’s first artist of color, first non-Ohioan and first two musicians, says Natalie Grieshammer, Akron Soul Train arts and programming manager. The Akron Soul Train fellowship selection committee reviewed 70 applications. 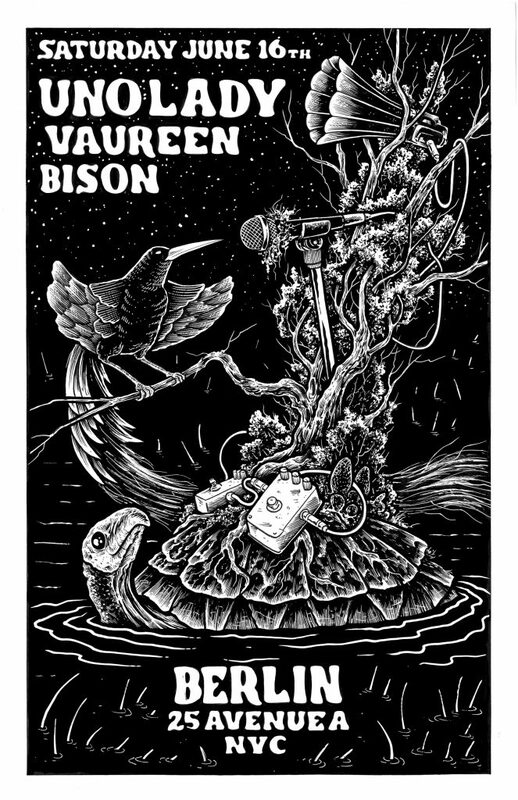 Each of the 13 selected will lead a community program during their fellowship as well as present a final exhibition or performance in Akron to share the artwork they created. I’m ecstatic to announce I’ve been named an Akron Soul Train fellow. It is a privilege and an honor to be a part of the fellowship program. Thank you for the opportunity to share my art and support my work. 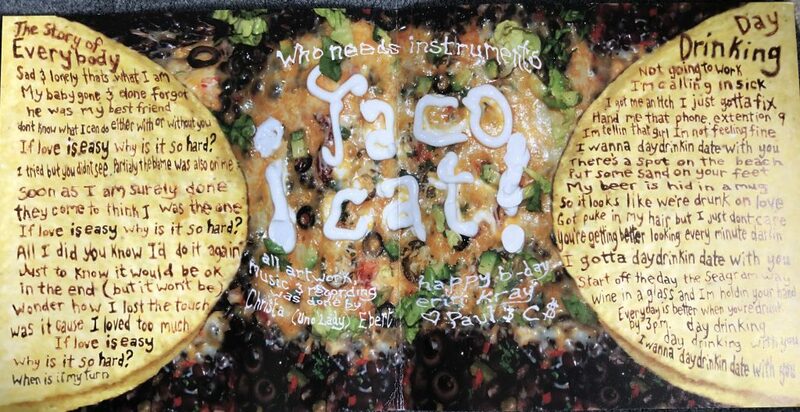 For Music Monday, while I prep for Saturday’s show in NYC, I’d like to share, “The Story Of Everybody” off the Tacocat 7″ (2010). This song has been hitting home lately. Flashback to when I had the time consuming idea to wood burn all the lyrics into taco shells.